Mosul- The wrecks of vehicles used by Daesh militants as car bombs and other metal debris left by the war in Iraq are now helping fund their Iran-backed enemies, industry sources say. Shiite paramilitaries that helped Iraqi forces drive Daesh out of its last strongholds in Iraq have taken control of the thriving trade in scrap metal retrieved from the battlefield, according to scrap dealers and others familiar with the trade. Scrapyard owners, steel plant managers and legislators from around the city of Mosul, the de facto Daesh capital from 2014 to 2017, described to Reuters how the Popular Mobilisation Forces (PMF) have made millions of dollars from the sale of anything from wrecked cars and damaged weapons to water tanks and window frames. The PMF deny involvement. “The PMF does not have anything to do with any trade activities in Mosul, scrap or otherwise,” a PMF security official in Mosul said. These sources say PMF groups use their growing influence – and sometimes, according to some witnesses, intimidation – to corner the market and control transport of metal from damaged cities such as Mosul to Kurdish-run northern Iraq where it is bought and melted into steel. Little of that steel is used to rebuild areas devastated by fighting. It goes instead to Kurdistan or southern Shiite provinces, they say. The trade is one way in which Shiite paramilitaries, which are now part of the Iraqi security forces, are transforming their control of land that used to be the Daesh “caliphate” into a source of wealth. “This yard is controlled by one PMF faction, that one across the road by another,” he said. He declined to give his name for fear of reprisals by militias. “I’m only allowed to sell to specific traders - they’re either members of the militia or have a deal with them. You can’t get scrap metal through checkpoints without a deal with the PMF,” he said. Ahmed Al Kinani, a lawmaker representing the political arm of Asaib Ahl Al Haq, a powerful paramilitary group that has 15 seats in parliament, blamed such trade on individuals “who take advantage of the destruction of war. “The PMF would not accept this. If there are individual, isolated cases, then the state needs to step in,” he said. 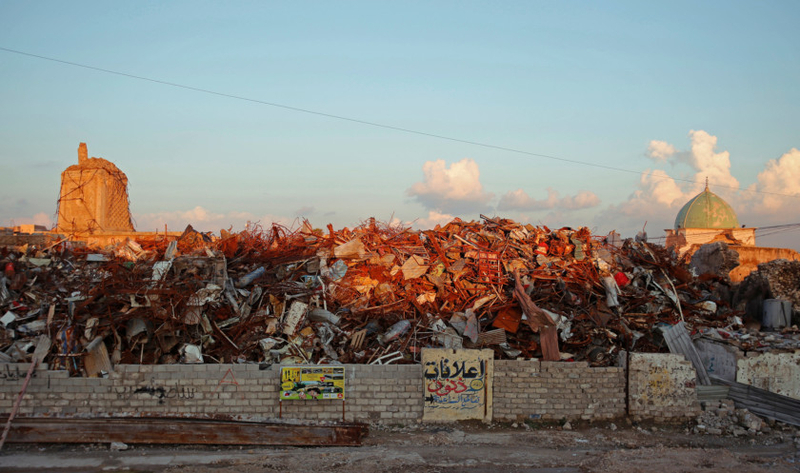 But the scrapyard owner, who said he buys scrap for 100,000 Iraqi dinars ($84) per tonne and sells it for 110,000 dinars, said the PMF or traders they work with sell it in Kurdistan for up to $200 a tonne. He said the PMF had taken control of his yard. “One day two men arrived in a pick-up truck, carrying pistols, and told me to lower the price and sell only to them. I comply - they have guns,” the owner said. Inside Mosul, scrap is bought even more cheaply. One boy said he sold for 50 dinars per kilo ($42 per tonne) to a scrapyard at Mosul’s ruined Old City. The site belongs to a PMF group, he and several other residents said. In Anbar province, west of Baghdad, drivers and traders said the PMF held a heap of destroyed cars that is visible from the main highway near Falluja, where fighting was intense in 2015. 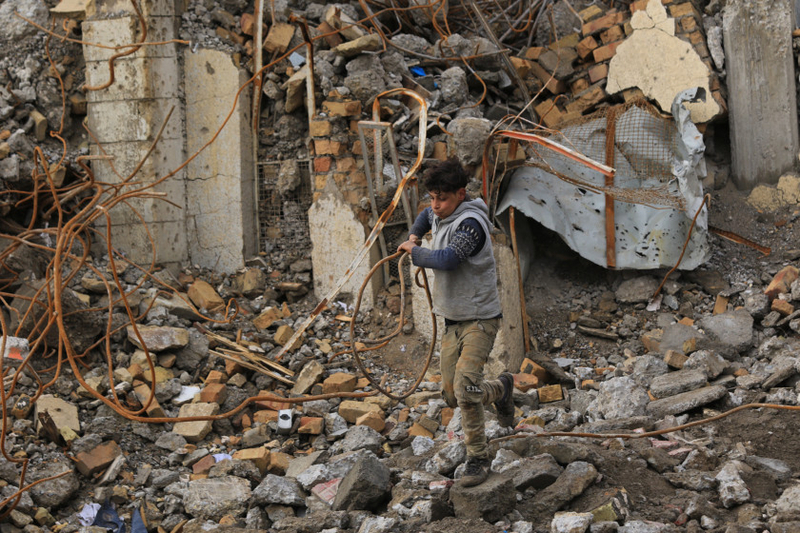 The volumes of scrap being moved have reduced since the immediate aftermath of the war with Daesh, but millions of tonnes of debris, including metal, still litter devastated areas. 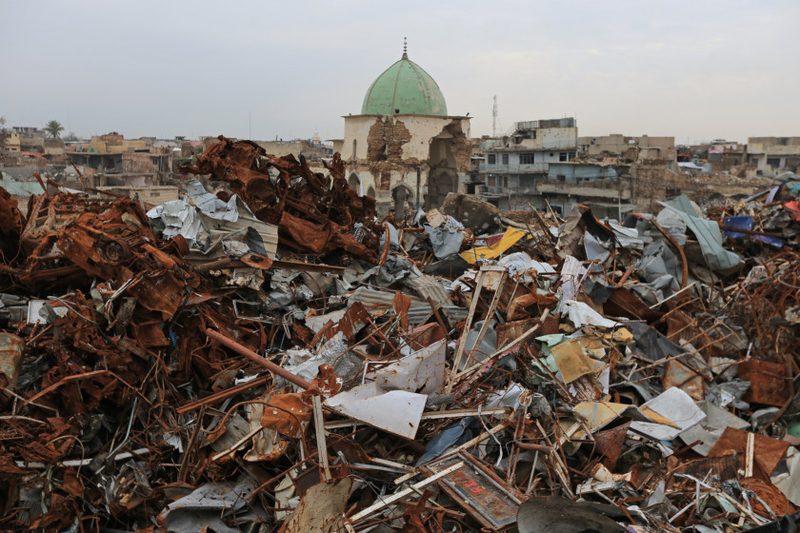 Mohammad Keko, the manager of a steel plant near Erbil in the Kurdish region, said he had purchased a minimum of 300 to 400 tonnes of mainly Mosul scrap each day since the city was recaptured from Daesh. “At the moment we buy for $150 to $160 per tonne. It depends what traders have to pay for it,” he said. The steel construction rods that Erbil Steel Co makes from scrap are sold partly in the Kurdistan region but mainly in southern Shiite provinces of Iraq, Keko said. Nawfal Hammadi Al Sultan, governor of Nineveh province where Mosul is the capital, also said the PMF buy scrap but dismissed allegations by some local lawmakers that he allows the paramilitaries to control the trade. “They buy it (but) there’s no law that forbids anyone to buy scrap metal,” he said. Lawmakers say the steel should go back to the Sunni areas recaptured from Daesh to help reconstruction. They partly blame the removal of scrap metal for sale or use in other provinces for the slow pace of rebuilding.